Used Elite Limo for YVR airport transportation in Aug and couldnt have been happier with the service, the drivers and the Lincoln Navigator. The email confirmation of my service was handy to have and made me feel reassured that they were on top of my booking & flight times. Upon arrival back into Vancouver, the driver met me at the airport with a sign so I could quickly establish he was there for me. Both drivers I had were friendly and courteous. The Navigator was immaculate inside and out. It was perfect for 2 people and luggage. Id absolutely recommend Elite Limousine to friends and family. we rented from elite limousine for our wedding and the service was far superior than any other limo service we have ever used before .we will be sure to tell everyone we know, how great your service is and how clean your vehicles are and how professional your drivers are .Thanks again for making this special day even more special. 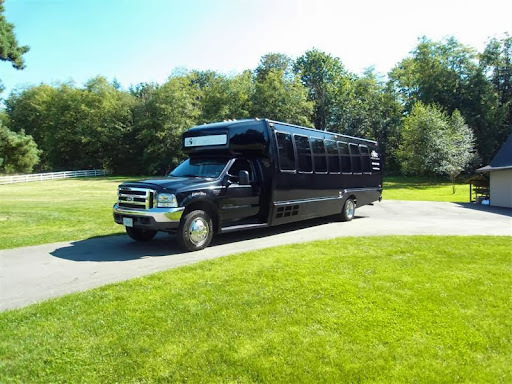 We used Elite Limo for our wine tour. Our driver (Jeff) was great! He was on time, and took us to some nice wineries in the Langley area. The service at Elite Limo was definitely above average, and our group enjoyed our experience! "Used a Elite to pick up family at YVR. The driver met my family inside the terminal, greeted them and ensured they were comfy. They were pleased with the service and the Limousine that arrived." W-O-W ...dont think you can get this excited over limousine service, think again... If you are visiting Vancouver - using it for airport service - this company rocks. Thanks so much. Visiting for the weekend and it was a special one, so we need the best accomodations possible - had no idea the limo would be the best part of the night. Amazing company and service. Great company.... took us to Whistler.... clean limo, nice driver... beautiful views.... relaxing.... nice to be a queen for a day! Highly recommend! These guys gave us an overall great experience with punctuality and flexibility for the night. Also our driver, Raj, was super friendly. On time pick up with returning front door drop offs made our guests enjoy their evening out on the town worry free! Awesome service, friendly staff, and a ride in style. What more could one want? On time, clean cars and friendly drivers.